A few days ago took a look at our first of the X58-based motherboards erring towards affordability. 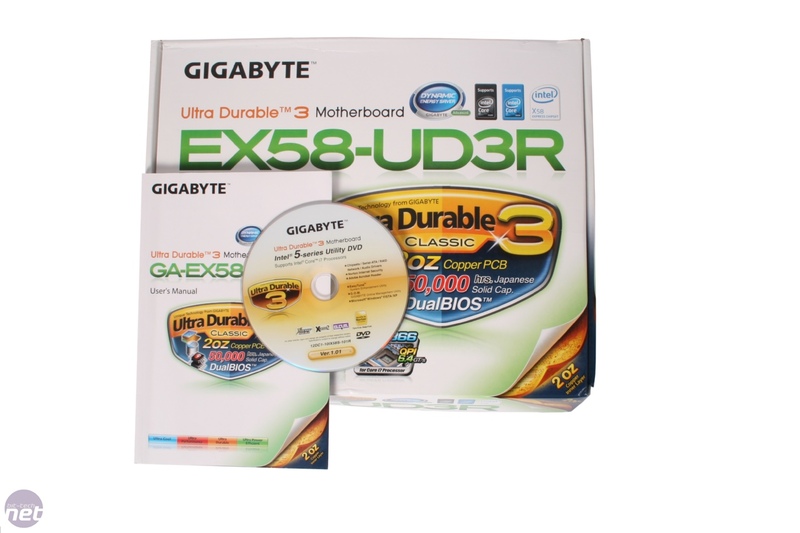 Today we're taking a look at Gigabyte's GA-EX58-UDR3 to find out if this similarly priced board can offer Core i7 goodness for around the same price. First off, let's get subjective matter of aesthetics out of the way. One of the issues we had with the MSI X58 Pro was the nasty brown colour of the PCB. We're confident that most of you will agree that the Gigabyte is a considerably more attractive bit of kit since the icy blue colour scheme looks great. Much in the same way that the MSI X58 pro was a stripped down version of the MSI Eclipse, the UD3R is a stripped down version of the GA-EX58-UD4P we previously recommended. The board has fewer DIMM slots and 16x PCI-E slots than its more expensive cousin, and features such as the onboard power buttons and rear clear CMOS button have also been stripped from it. 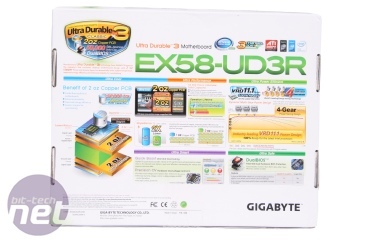 Included is still Gigabyte's Ultra Durable 3 technology though - signified by the "U" in the name, this board still has Gigabyte's "Ultra Durable 3 technology" which features a 2oz copper layered PCB (if you care) and high quality solid aluminium capped capacitors and other long life power features. 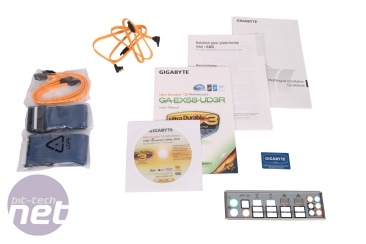 You can also expect to find fewer accessories in the box, though the bare essential four SATA II cables, EIDE cable and floppy cable are provided. The manual is clear enough about setting up the board to get newbies started, and pretty in depth about using the MB Intelligent Tweaker (M.I.T) section of the BIOS, which is where Gigabyte stashes all the overclocking options. There are no SATA to eSATA brackets though which is a little disappointing for a board with no specific eSATA on the rear I/O and eight internal SATA ports. 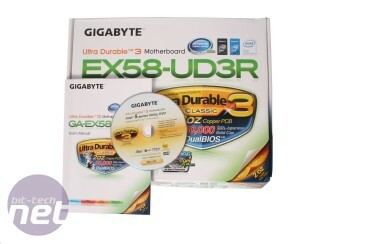 Who needs extreme behemoths when there are more affordable Core i7 options like this pair from Gigabyte. The UD4P and DS4 are still very capable and well featured, but aren't as expensive as other X58 boards - we see if they're powerful enough to take on the big guns. MSI's Eclipse X58 motherboard for Intel's Core i7 processors sports a great new look and some fresh unique features from its DrMOS and GreenPower technologies. Does it stand tall, overshadowing the competition or fade out as quickly as it appeared? Let's find out.